Brunel's solution to getting the Cornwall Railway across the very considerable obstacle of the River Tamar at Saltash was the magnificent Royal Albert Bridge. Its unique design and handsome proportions make it one of his most outstanding works, with an aura of grace and majesty all of its own. This deeply researched book tells eloquently the thirteen year saga of the bridge's construction, the design concepts and challenges and the immens engineering difficulties. The erection of the two 1,000-ton spans, bridging a distance of nearly one thousand feet with rails at a height of 100 feet deep leaves one marvelling at the ingenuity and ability of Victorian engineers and workman. Strenuous testing was followed by the opening by prince Albert, Queen Victoria's Consort, with all the pomp and splendour of a royal occasion. 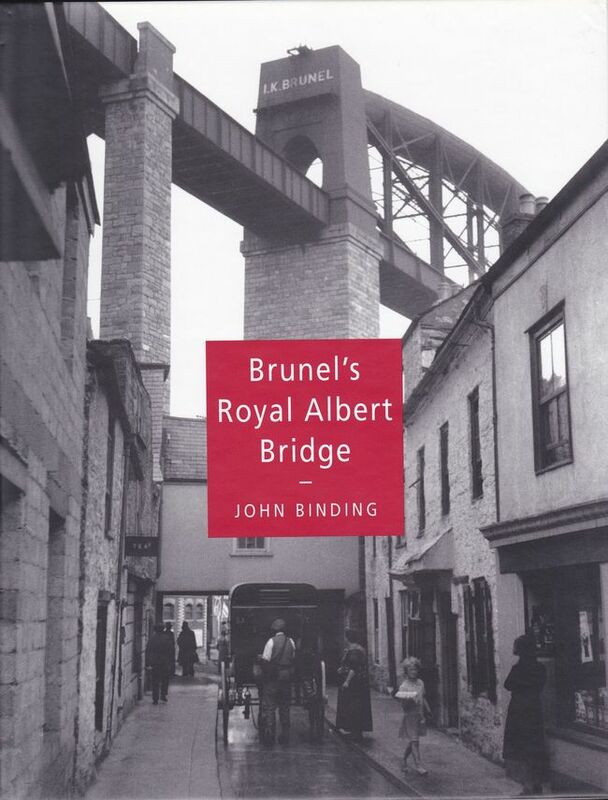 Details have been extracted from Brunel's own drawings and notebook as well as from original and contemporary sources in archives and newspapers to make this as authoritative as the author's previous book, Brunel's Cornish Viaducts. A remarkable collection of engravings and photographs, many never published before, complements and illustrates the text. And the story is brought right up to date for the bridge, of course, still carries today's traffic. The steady process of strendthening for heavier loads is described, leading to contemporary scene and the work being done to ensure that this magnificent structure continues in service as a tribute to its engineer, Brunel; probably the greatest Victorian engineer.